Cost to install or replace windows varies greatly by region (and even by zip code). Get free estimates from window installers in your city. Cost to install or replace windows varies greatly by region (and even by zip code). The cost of replacing a window is around $1,500​. How much does it cost to install or replace windows? Windows are an integral part of every home. They let in sunlight and air, and provide a view to the outdoors. No window lasts forever, though, and it's common to need to replace your windows roughly every 20 to 25 years, if not sooner. Common reasons to replace windows may include wanting to increase the energy efficiency of the home, rotting frames or sheathing, water leaks, which have lead to mold or insulation problems, or the desire to increase the value of your home. 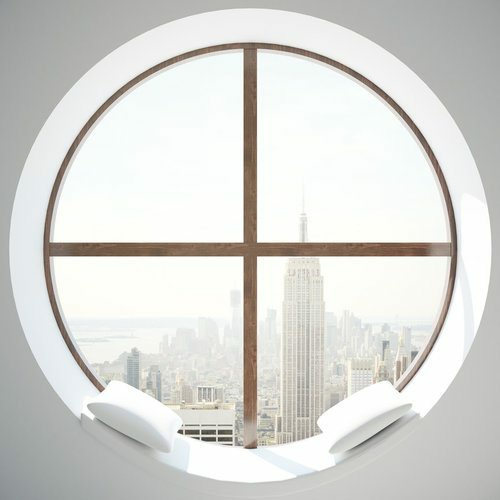 There are a number of factors that can affect the cost of window replacements. The material, size of the window, condition of the existing frame, and the type of glass can all impact your final cost. The national average cost of replacing a 3-foot by 5-foot double hung, vinyl 2 window is $1,500, while using a wood window frame costs an average of $1,875 for the same project. If there is no damage to the existing window frame, and you're replacing your windows for energy efficiency or resale value, the replacement will cost significantly less than if the frames need to be rebuilt. New construction, meaning that the window frames must be created on site to accommodate the new windows, costs approximately 50% more than a simple replacement. So, for the same double-hung vinyl 1 window, the cost would be $2,300, or a nearly $800 difference. A large percentage of the cost of your new windows will come from the type of window pane you choose. 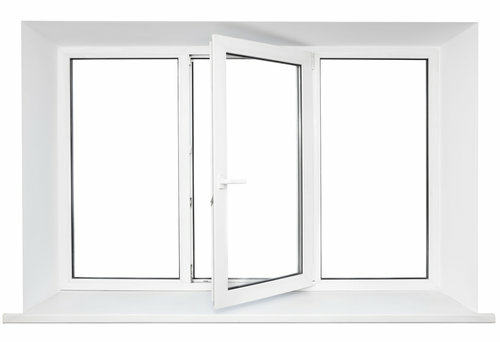 Windows come with several options, which can not only affect the cost, but also the efficiency of the window. 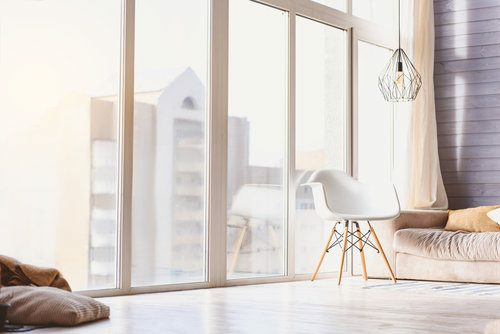 Many types of window glazing, or glass, including gas filled and Low-E glass, are recommended by Energy Star to improve the performance of the windows and lower your energy bills. While things like Low-E glass cost about 15% more than standard glass, you can save about 30% to 50% in energy loss, which results in lower energy bills. There are many different types of windows you can choose from. Your style choice will affect the total cost of your project. A range of prices is provided below for each window type (window materials only). 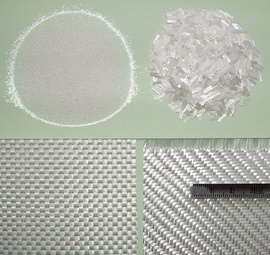 Lower prices correspond with lower quality materials, while higher prices correspond with higher quality materials. There is a number of factors that can affect the final cost of your windows. 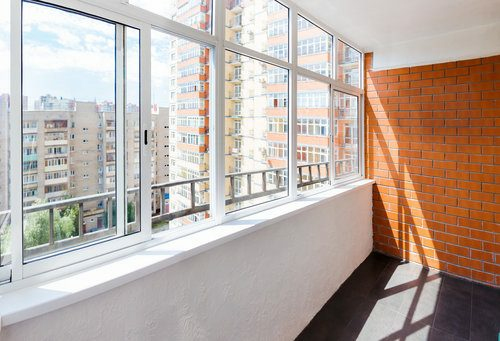 In addition to the material, type of window, and type of glass that you choose, the size of your window, it's location, and in some cases the color of the frame may also play a role. Generally, larger windows will increase the cost. 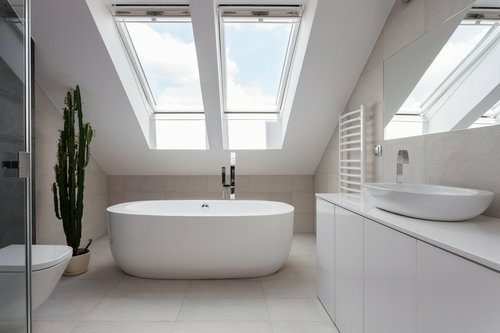 Windows for skylights will also be more expensive than traditional windows, with the average skylight running around $450 - $1,500, as will any window installation that requires additional framing, such as a non-standard sized window or increasing the size of a current window while replacing it. 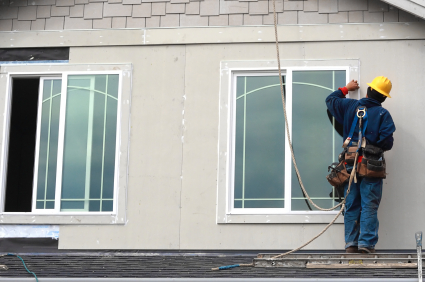 Window replacement labor generally adds between $100 and $200 per window to the total costs. This involves removing the existing window, making any necessary repairs to the frame, installing the new window and caulking 4 or sealing up any air gap surrounding it. Windows are installed from the exterior or outside of the house, so ladders or scaffolding 5 may be required to assist in the installation. Windows located in difficult to reach locations may cost about 12% more to install than those that are accessible from the ground if scaffolding 5 is involved. On average, each window takes around 30 minutes to replace and install providing that the frame is in good condition and requires no additional work. In the vast majority of cases, the company installing your new windows will both remove your old windows, and dispose of them properly once they are done for no additional fee. If you wish to keep your old windows, you will need to notify the installation team prior to them getting started. You may want to opt for tempered, safety, or impact resistant glass if you live in an area subjected to things like natural disasters or hail stones. This may increase the cost of the windows by about $14 per foot of glass. Opting for Energy Star rated windows will decrease energy loss by 30% to 50%. These windows typically cost about 15% more than traditional windows of the same size. Look for windows with the National Fenestration Rating Council sticker on them. 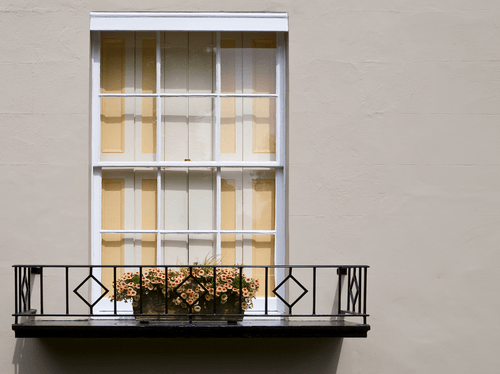 The NFRC rates each window for insulating properties, how well light passes through, potential air gap, and solar heat gain, or how well the windows resist unwanted heat gain during the summer months, the lower the number, the better the resistance. The NFRC label shows all of this at a glance, making it easier for you to choose a window that meets your needs. Sometimes it's not the window that's causing energy loss, but the air gap around the frame. This can be fixed by sealing the frame with caulk 4, and can be done at the same time as a window replacement. 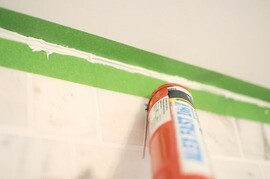 Some installers will do this free of charge, while others will add on a cost of around $30 to the project. All window installers will strive to create a watertight seal around the window frame by tightly fitting the new window, and potentially caulking 4 this area as well. The choice of replacement window you make may be influenced by the area and climate you live in. Very hot and very cold climates may need more insulating windows with things like Low-E coating or argon filled panes, while areas with more moderate temperatures may make do without these additions. The age of the home may affect the final cost, as older homes may require additional carpentry to fit new windows. 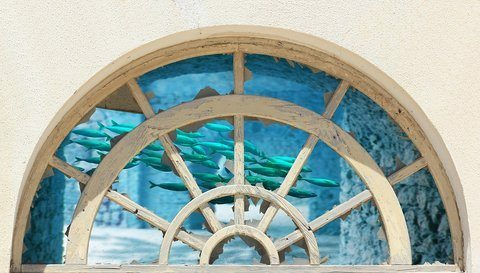 Local building codes may require permits or variances for certain types of window installation; always check with your town hall before proceeding. While windows can be expensive, some installers will allow you to make monthly payments to finance the replacements. Speak to your installer to find out your options. Rebates may be available for some energy efficient windows. Check with your local government for more information. Your new windows may come with a warranty. It is common for the installation to be warrantied for one year, and the windows themselves for 10 or more years. Always ask what warranties may be available for the windows you are purchasing. Some windows may be easier to maintain than others. 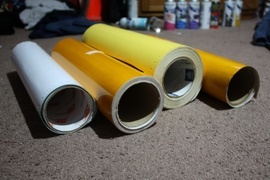 Vinyl 1 frames, for example, are easier to maintain than wood. Double-hung windows are easier to clean than single-hung. Take your lifestyle into consideration when choosing which windows will be best for your home. Window installation is not a DIY project. 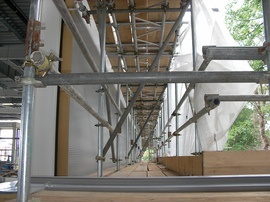 The frame must fit tightly in order to create a watertight seal. In addition, an older window may have mold, which needs to be treated growing around it, or there may be structural integrity or building code issues that need to be addressed; always opt for professional installation to get the best results in your window replacement. How much will it cost to replace a window? The average cost to replace a window ranges from $650 to $1,500. The type and size of window will affect your final cost. How long does it take to put in a new window? New windows can be installed in just a few hours, provided that you are exchanging the windows for new ones of the same size and shape. Changing the size and shape can add a few days to the timeline. Labor for window installation typically runs between $100 and $200 for a total of $650 to $1,500 depending on the type of window you choose. How much do Pella replacement windows cost? Pella replacement windows have a wide range of costs depending on the size and type of window. Expect to pay between $75 and $1,500 per window. The average window replacement cost is $650 to $1,500, including labor and the window. Costs range depending on the type and size of window that you choose. Andersen replacement windows have a wide range of costs depending on the type and size of the window. Low-cost windows start around $75 and costs for high-end bay windows may go as high as $1,000 or more. How much does it cost to install or replace windows in my city? Cost to install or replace windows varies greatly by region (and even by zip code). To get free estimates from local contractors, please indicate yours. All final costs have been adjusted to a new average project.